Show off your team spirit with the newest licensed accessory from Style Pasifika. The Kukui (pronounced "coo coo ee") nut is harvested from the official state tree of Hawaii for its oil which is used for cooking, fuel, and lotions. The shell is then hollowed, dried, polished, painted, and hand-strung to form our beautiful and unique accessories. Kukui Nuts were once worn by Hawaiian chiefs and kings as a symbol of good luck. 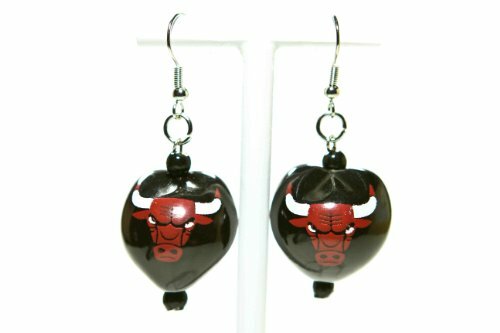 These fabulous single nut team earrings each are brightly painted and colored, featuring vivid and prominent team logos. The earrings are surprisingly light weight and will not pull your ear. Our island-themed accessories are perfect for any fan and have been spotted on many Polynesian superstars! If you have any questions about this product by Style Pasifika, contact us by completing and submitting the form below. If you are looking for a specif part number, please include it with your message.